BA International Marketing and Languages (2:1); MA Comparative Literature and Cultural Studies (First Class); Advanced Creative Writing: Open University modules (First Class); Higher Diploma in Education (First Class). Basic Proofreading by Distance Learning (Merit) (PTC), 2014; Fiction Editing (Publishing Ireland), 2013; Proofreading Problems (SfEP), 2013; Using Language with Fergal Tobin (Publishing Ireland), 2013; Introduction to Proofreading (SfEP), 2012; Introduction to Web Editorial Skills (SfEP), 2012; Fiction, memoir and poetry-writing workshops and courses conducted by award-winning writers, Claire Keegan and Maureen Boyle. PC; Microsoft Word; Adobe Acrobat. 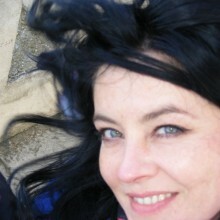 Freelance editor and proofreader since 2012; Secondary school English and EFL teacher from 2000 to 2012; Copywriter for an advertising agency and co-editor of The Irish Hair and Beauty Journal from 1997 to 1999; I was short-listed for the Cúirt New Writers Fiction Prize and long-listed for the Fish Publishing Poetry Prize in 2013. Novels, short stories, academic books, theses, online and promotional materials. Copy-editing; editing; novel and short story development; proofreading; structural editing; manuscript assessment. Fiction, non-fiction, literature, cultural studies, literary studies, education, creative writing, business and marketing. I specialise in working with self-publishing authors, publishers, academic writers, students and business clients. Irish Academic Press/Merrion; self-publishing authors. The Books that Define Ireland by Bryan Fanning and Tom Garvin (Merrion, 2014); Scumbags and Handbags by Sinead Hamill (2013); Belfast Days: A 1972 Teenage Diary by Eimear O’Callaghan (Irish Academic Press/Merrion, 2014). Feel free to contact me for a chat and a quote regarding any of the services outlined below.